Mr. Beaver received his Bachelor of Arts Degree from West Virginia University in 1987. He earned his law degree from West Virginia University in 1995. Mr. Beaver is admitted to practice in the State of West Virginia and in the United States District Court for the Northern and Southern Districts of West Virginia, the United States Court of Appeals for the Fourth Circuit and the United States Supreme Court. 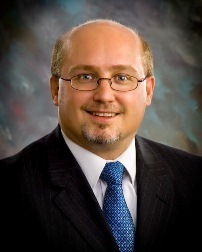 He is a member of the West Virginia State Bar, the Ohio County Bar Association and the American Bar Association.